Every Lakers' starter from last year will have to prove themselves over again. 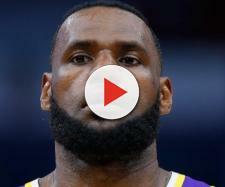 When LeBron James signed with the Los Angeles Lakers, fans wondered how he would fit in with the Western Conference team. Last season, the Lakers finished with a record of 35-47. It was their fifth season in a row with a losing record, but it was their most wins since the 2012-13 season -- the last time they made the NBA playoffs. With young talents like Kyle Kuzma, Lonzo Ball and Brandon Ingram, the future looked bright for Los Angeles. Then LeBron signed and the Lakers have a new look and according to one Lakers executive, everyone has to earn their starting role over again -- with the exception of LeBron. When LeBron James was with the Miami Heat, everyone knew that Dwyane Wade and Chris Bosh were starting alongside him. In his first three years back with the Cleveland Cavaliers, everyone knew that Kyrie Irving and Kevin Love were starting alongside him. However, last year when the starting lineup was only LeBron and Love, things went south. This year, there isn't even a Kevin Love type player. The Los Angeles Lakers have LeBron James and a bunch of kids. Even though Kyle Kuzma proved to be a star as a rookie and Lonzo Ball played well enough as a first-year player, neither of those players are guaranteed a starting spot on James' Lakers team. Spectrum SportsNet's Mike Bresnahan reported that Los Angeles Lakers general manager Rob Pelinka said that head coach Luke Walton wants to have an "incredibly competitive camp." As a result, he said that everyone but LeBron James will have to earn their spot in the starting lineup in training camp. The biggest competition will be at the point guard position. While Lavar Ball will tell anyone who listens that his son Lonzo Ball is a major NBA star, the Los Angeles Lakers are not completely sold on the youngster. The Lakers signed former rival Rajon Rondo to a one-year deal and he will compete with Lonzo for that starting role. Lonzo Ball should win the job, although he might be on a short leash due to his below average field goal percentage. LeBron James also said that he likes Lonzo Ball's game, and if Lonzo is just expected to dish out assists, that might put him in a good spot to improve. Brandon Ingram will have some competition from the recently signed Lance Stephenson for his role as the small forward. Of course, Kyle Kuzma is the odd man out since he will end up as a backup to LeBron James or play in larger sets on the court. 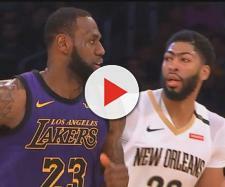 Either way, the Los Angeles Lakers will force their players to earn their roles alongside LeBron this season -- and competition is always a good thing.